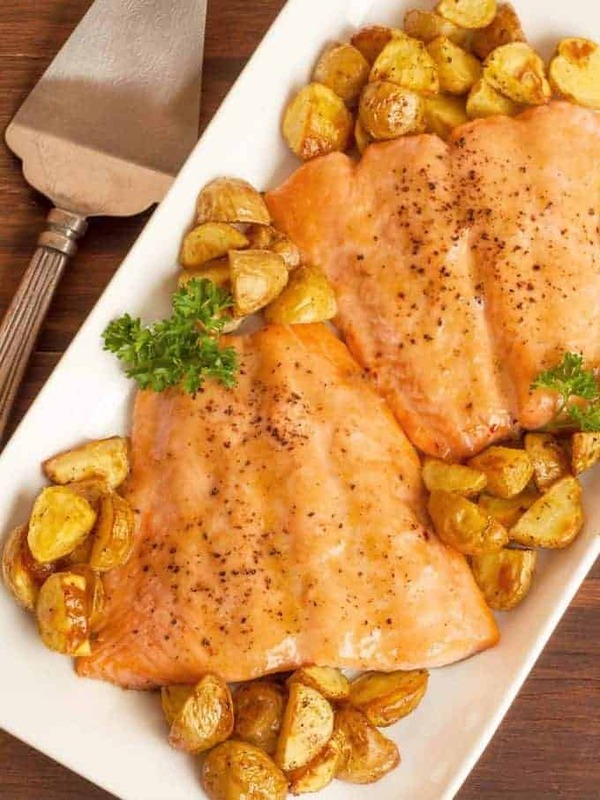 Roasted salmon is one of our top choices when we’re looking for a good dinner that doesn’t require a lot of prep or cleanup time. 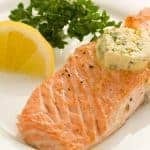 This recipe adds a simple glaze of butter, Dijon mustard and honey to complement the natural flavor of the fish. Just add sides like roasted potatoes and a green veggie or salad to finish off a quick-to-fix, healthy meal. 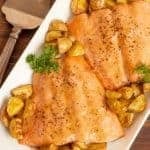 These delicious salmon fillets are topped with a three-ingredient glaze made with butter, Dijon mustard and honey and can be on the table in less than 30 minutes. Preheat the oven to 425°F, line a shallow baking pan with foil and coat with nonstick spray. Lightly season the salmon on both sides with salt and pepper, then arrange in a single layer on the prepared pan. Combine the melted butter, mustard and honey in a small bowl and whisk to combine. Spread the mixture evenly over the salmon and roast for 8 to 12 minutes. Cooking time will depend on the thickness of your fillets and how well done you like your salmon. I so enjoy how easy it is to move around your website! 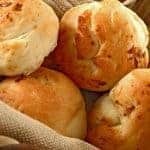 Recipes come up easily and print easily. So much nicer than other websites. Thank you. 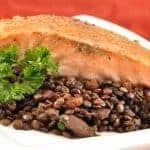 Am trying the Beef Stroganoff and Honey-Mustard Salmon recipes. Thanks for taking the time to give us some positive feedback. We strive to make the site easy to use and it’s great when people notice. 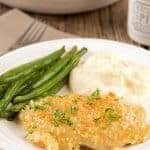 Hope you like the recipes!